First Floor 1970 sq. ft.
Width 54 ft. 0 in. Depth 65 ft. 2 in. Approx. Height 23 ft. 6 in. 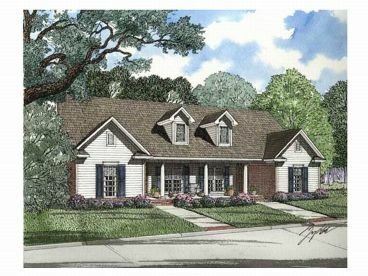 Imagine yourself rocking away the tensions of life on the front covered porch of this southern style duplex home. You'll be welcomed by the tiled entrance leading into the comfortable great room with crackling fireplace. Start family traditions in the cozy kitchen with eat-at bar and breakfast room, which access the rear patio. 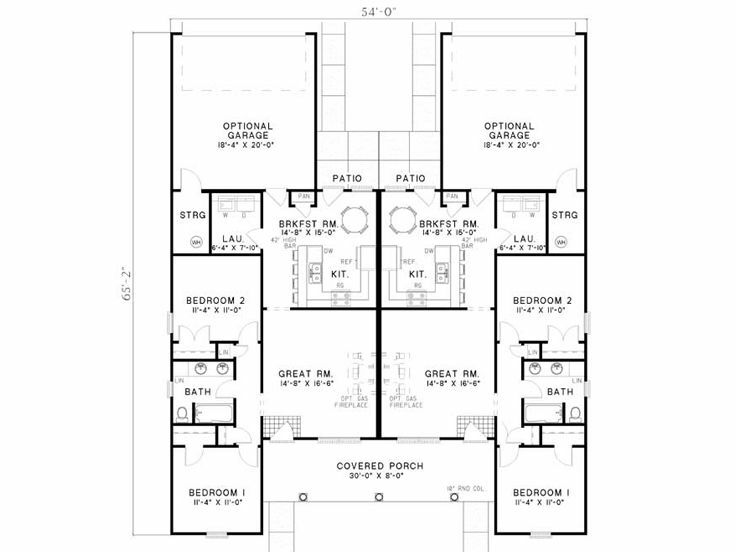 Both bedrooms enjoy ample closet space as well as share a bath with his and hers vanities. 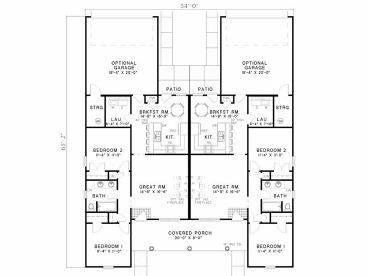 This traditional neighborhood multi-family design will accommodate you and your family. Reproducible masters are printed on bond paper and come with a copyright release.